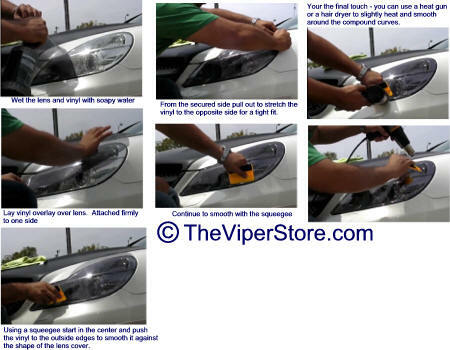 Includes drivers side and passengers side head light tinted vinyl adhesive overlays. 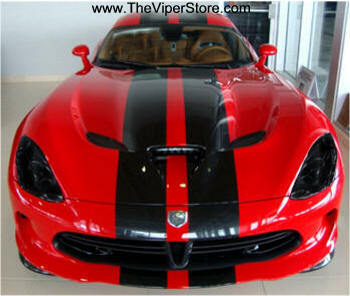 Gives your SRT Viper a race car look. Protects your lens covers against stone ships and scratches. Self adhesive - peel and stick. Can be removed without damaging your lens. Medium black darkness, 30% light comes through. 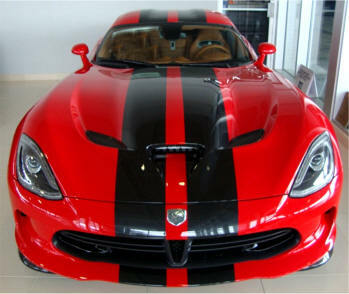 Fits all models of Gen 5 Vipers.